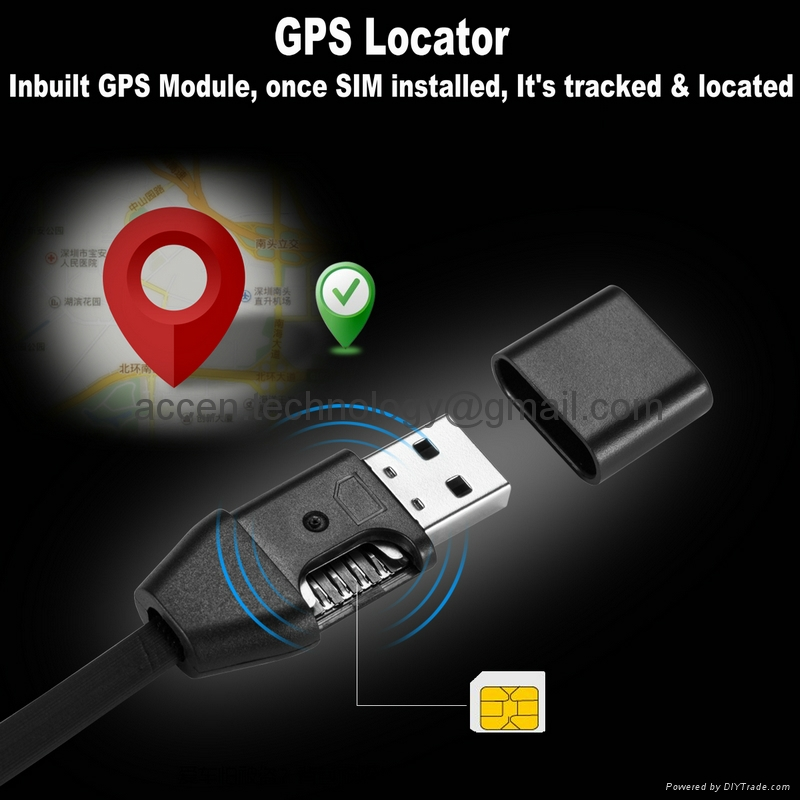 It combines gps locator function and remote gsm sim audio transmitter function into normal usb cable (for android or apple), you can hide it eveywhere very easily for covert audio monitoring and safe gps locating. You can put it in car, handbag or any other precious items, in case of lost or being robbed, the inbuilt gps module can help you to locate its position and help police to find it back. You only need to insert a SIM card (support 850/900/1800/1900MHz) in it and powered it with mobile power bank outdoor, car charge in car or wall socket indoor, It'll turn on automatically without indicator light (for the sake of concealment) and work efficiently to monitor the environment and ready to serve you after 10 seconds. Call it from your mobile phone or landline, once connected, It'll answer automatically and transmit its surround voice to the caller for remote monitoring. Send sms command 1111 to the device, It'll turn on voice-activated callback and warning function. Once its surround voice is more than 45db, the device will call the preset number. Send sms command 0000 to the device, you can turn off voice-activated callback, you still can do remote monitoring by manual calls. 1.This product need to use an external power supply equipment. 2. This product does not have waterproof function, avoid this product into the water. 3. When installation, please pay attention to the GSM network signal strength, do not install where there is no signal or signal weak, so as not to affect its fucntion. 4. if you couldn't get through the device, please pull out and reinstall the sim card to reboot the device or determine whether the external power supply equipment provides normal power. 5. if no reply, please check the GSM card if any overdue bills, GSM card message is full or not, test again after erase all message.